God is in a choke hold. The Almighty is gasping for air. We have squeezed him into our little religious boxes and imposed upon him who and what he might or might not accept. Then we go on to prescribe rules of conformity to types acceptable to God, based on the virtues we impose on God. When you hear that there’s a ’Calling’ upon someone’s life, one immediately presupposes a religious or spiritual proposition. And if you read the apostolic recommendations in 2 Timothy 2:20-21, ‘types’ and manner of Calling are reduced to a question of intellectual dispositions, dogma and profession. You need to belong to a faith group – preferably that of our Lord Jesus Christ – to have a Calling upon your life. You need to be affiliated to the right subgroup within that great house, affirming a given creed to attain unto the crème de la crème of divine office. St Paul already had a habit of the heart that was perfect for what Jesus needed him to do – a rabid, monomaniacal commitment to whatever he believed. At the time that the Lord called St Paul Christ’s ‘chosen vessel’, 2Acts 9:11-15 St Paul did not know Jesus, he only knew of Jesus. He didn’t need to believe one way or the other, or conform to any creed to qualify for the Calling. He already had a habit of the heart that was perfect for what Jesus needed him to do – a rabid, monomaniacal commitment to whatever he believed. When his belief was based on the laws of Moses, he killed for it, when he converted to the saving grace of God by Jesus, he died for it. Different approach to believing, same St Paul. The fact that he thought little of the sanctity of life did not stop Jesus from committing a life transforming gospel to him. The fact that he had bloodstained hands did not stop the Holy Spirit from scripting much of the Christian Bible by his hand. He only needed to be by nature a highly self-driven person with strong convictions. The rest was left to God to perfect. And God didn’t say, ‘Well this guy has committed a lot of folks to coffins, so he’d make a good vessel of wood’. In the roll call of apostles, God made him first among equals. “I will go before you and will level the mountains; I will break down gates of bronze and cut through bars of iron. I will give you hidden treasures, riches stored in secret places, so that you may know that I am the Lord, the God of Israel, who summons you by name. “For the sake of Jacob my servant of Israel my chosen, I summon you by name and bestow on you a title of honour, though you do not acknowledge me. Some of the words of God have been emboldened for additional emphasis. Why does God go outside of the camp of those who know and call upon him to find for himself vessels for glorious divine purposes? He was the Persian King who brought the Babylonian Empire to its grave. He was not a Jew neither did he relate to God by a covenant. By God’s own admission (emphasized in the last two verses of the quote above) he neither knew God nor acknowledged him. However, he had a Calling upon his life, a glorious Calling at that. As history had it Cyrus had a liberal and syncretic approach to worship. If any of the cultures he ruled over called anything a god, Cyrus worshipped it. He was a serial idolater. But in the first verse of Isaiah 45 God called him an ‘anointed’ of God. The word anointed in Hebrew means Messiah. God promised to go ahead of him to guarantee great victory and stupendous wealth in order to empower him for the task he would carry out for God. Remember that this guy didn’t have a relationship with the God of Israel. It was Cyrus’ liberal and generous disposition towards religions and the right of others to believe whatever they chose, and his willingness to support them that God tapped into. It was the reason he was blessed and empowered with resources God had use for. Why does God go outside of the camp of those who know and call upon him to find for himself vessels for glorious divine purposes? Why does he choose those who lack ‘right’ beliefs? Are systems of beliefs as vehicles toward various dimensions of Calling simply a human construct? Much of what the church ascribes universal applications to are often situational and contextual. What one chooses to do with his own possessions is his prerogative. That statement incited a violent reaction from Jesus’ audience because he implied that God preferred a gentile to those to whom belonged the promise and the covenant. Worse, she was a Sidonian, a contemporary and compatriot of Jezebel, and her heritage was one of Baal worship and temple prostitution. 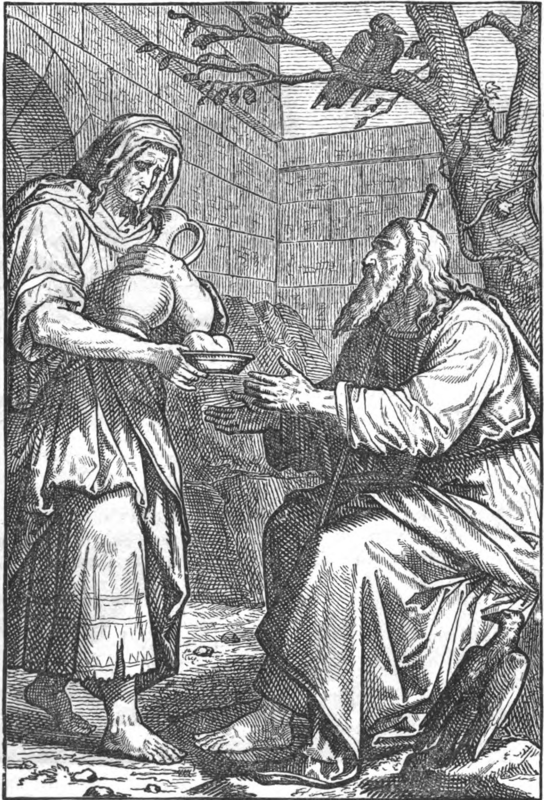 The widow of Zarephath was naturally disposed towards putting the needs of others ahead of her own, even in an austere time. It was that habit of her heart that God called upon. The encounter between the widow of Zarephath and Elijah is recorded in 1 Kings 17:8-15. Whereas Cyrus got a message that God wanted him to rebuild the temple of Solomon. 7Ezra 1:1-2 The widow of Zarephath did not see it coming. Like Cyrus, she was a gentile who God called. Unlike Cyrus she did not get any messages. Were we not privy to the words of God to Prophet Elijah, we would be none the wiser as to God’s purpose concerning her. When the Prophet asked for food from her, she didn’t say: ‘yeah I’ve been expecting you’. Rather she lamented that the food was her family’s last supper. The God in whose name Elijah prophesied was the God of Israel, not one of the gods her people called upon. But she was naturally disposed towards putting the needs of others ahead of her own, even in an austere time. It was that habit of her heart that God called upon. ‘Right believing’, confession and profession have nothing to do with Calling. Much like the widow of Zarephath who did not know she was discharging a divine assignment, we are all engaged in the schemes of heaven, but most of us don’t know it. What we’re called to do draws from the habits of our hearts. ‘Right believing’, confession and profession have nothing to do with Calling. What we’re called to do draws from the habits of our hearts. It had nothing to do with what either professed. It was all about the content of their characters. No matter what a serpent professes, it cannot beget a dove. As for what one is doing for God at any given time? Each one of us would do well to carefully reflect on the habits of our hearts: our likes and dislikes, tastes, desires, biases, instincts, predisposition, predilection are all at work, consciously and subconsciously in the wheel of divine interventions in the great chain of being.